Remember six months ago, when Swiss authorities raided a luxury hotel in Zurich to arrest a number of FIFA officials, on behalf of the U.S. Justice Department? Luckily for those of us who want to see the incompetent and corrupt world soccer organization brought to its knees, it’s happening again! 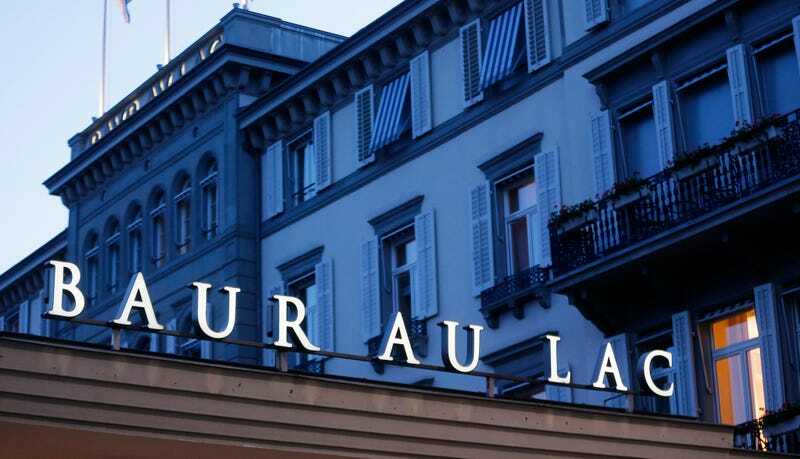 The New York Times—who like last time just so happened to have a reporter in the lobby of the Baur au Lac hotel, as if they were tipped off ahead of time—reports that Swiss authorities are targeting around a dozen “current and former senior soccer officials on charges that include racketeering, money laundering and fraud,” and that the charges would, “hit South and Central American soccer leaders particularly hard.” Each of the 18 people ultimately arrested last spring had ties to the Americas. It’s not yet known who is being arrested, except that Swiss authorities told the Times that neither Sepp Blatter nor suspended FIFA secretary general Jérôme Valcke were. Damn! Indictments in the case could be unsealed Thursday morning. Update (1:07 a.m.): The Times reports that two of the arrestees are the Honduran Alfredo Hawit and Paraguayan Juan Ángel Napout. Hawitt is the current president of CONCACAF—the North American and Caribbean regional federation—rising to that position after his predecessor, Jeffrey Webb, was scooped up in the last said of raids. Napout is the president of CONMEBOL, the South American regional federation, and past president of the Paraguayan Football Association.